Alright, so I’ll be the first to admit that some of our Fam Din themes are a bit more successful than others. When we’re on point, we totally nail it like with our Hawaiian Lu’au, “One Night In Bangkok”, Korean Feast, or the N’awlins Seafood Boil. But some themes are bit tougher than others. Case and point, a certain holiday a few months ago that inspired us to try and make dishes that were green. That’s right, the color green. 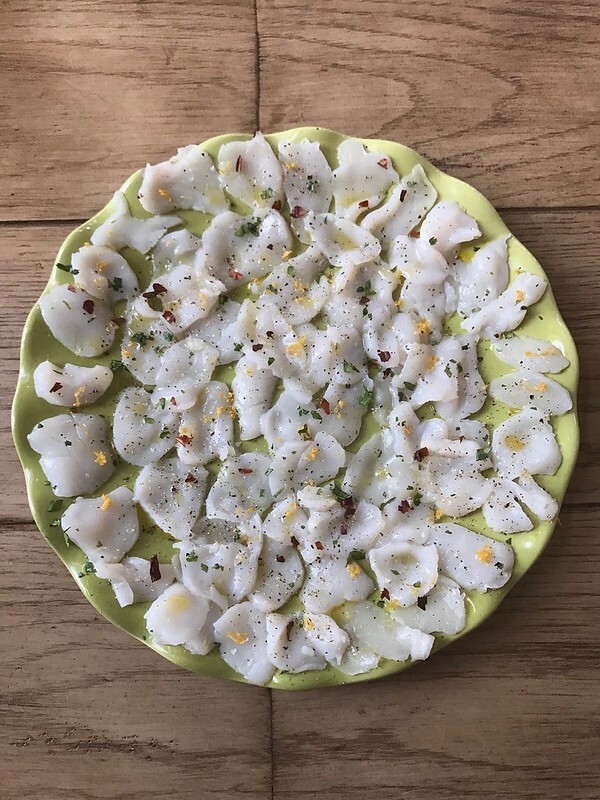 V+L were in charge of this portion and came up with wonderfully fresh and sweet Scallops Carpaccio. And before you ask for the green, might I direct your attention to the chopped cilantro and green platter??? 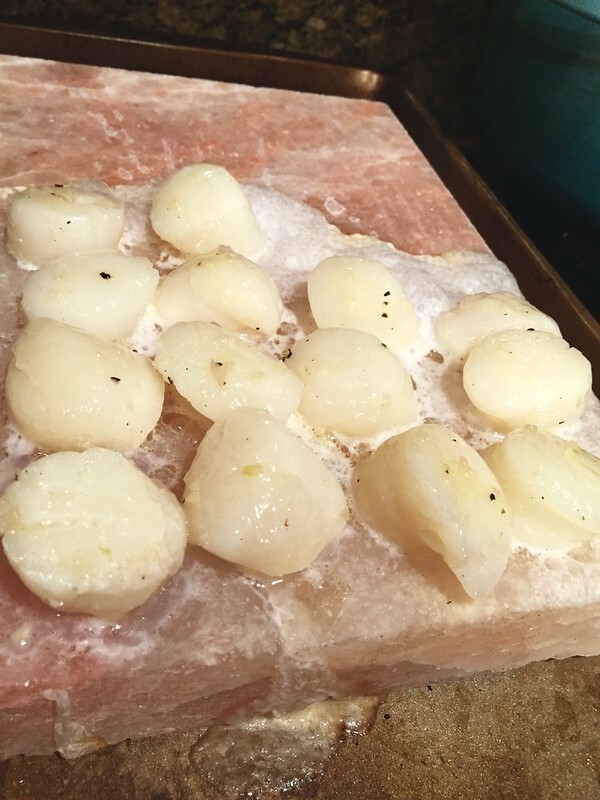 A year or two ago, T got N a Pink Himalayan Sea Salt Block from Williams Sonoma. She hadn’t had the opportunity to use it yet and figured Fam Din was the perfect chance. So she pulled out the slab and seared some sweet scallops on them. I think we had average results with it. 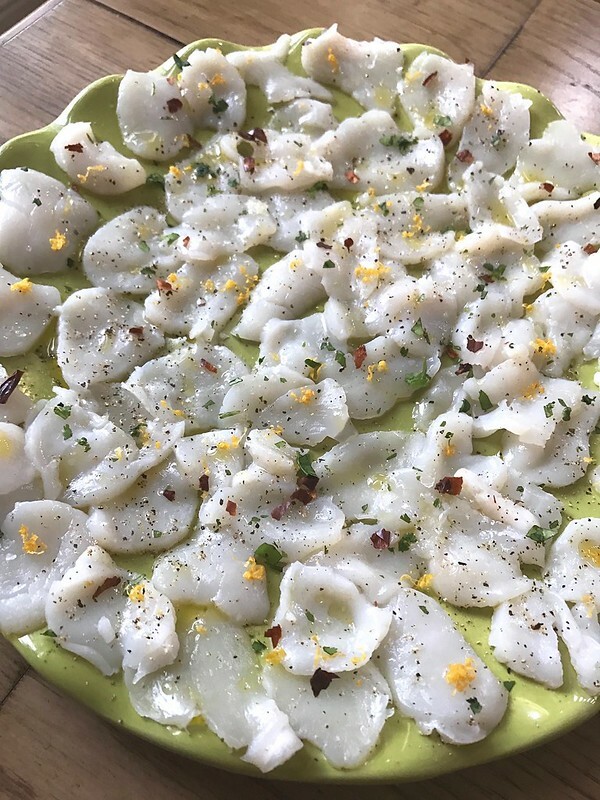 Yes, it did impart a subtle flavor to the scallops and sure–the process looked impressive. But we didn’t get that lovely golden sear on them as if we had used a pan. Don’t worry, we’ll try again. 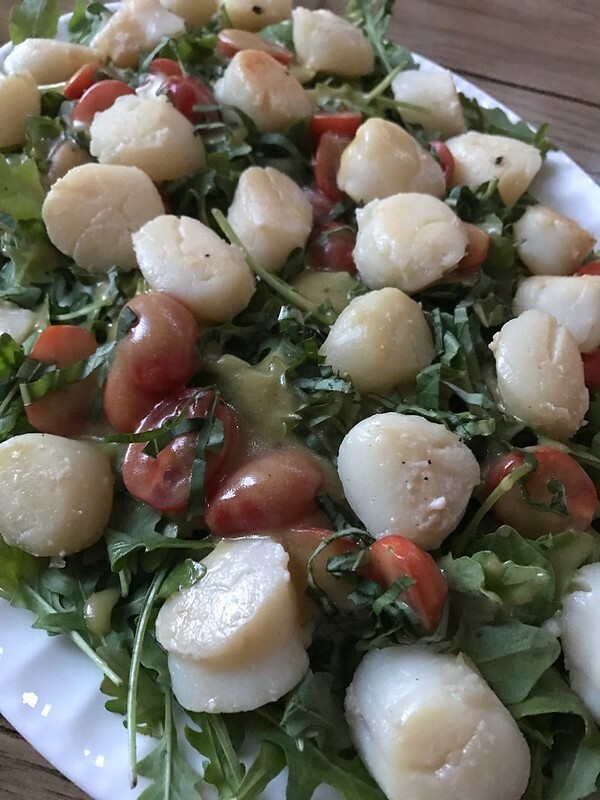 N placed the scallops over fresh and peppery arugula. She dressed it with grape tomatoes, fresh basil and a light vinaigrette. Light, lovely and would be a wonderful summer lunch with some crusty bread. But being the chunky monkeys we are, we had them as an appetizer. 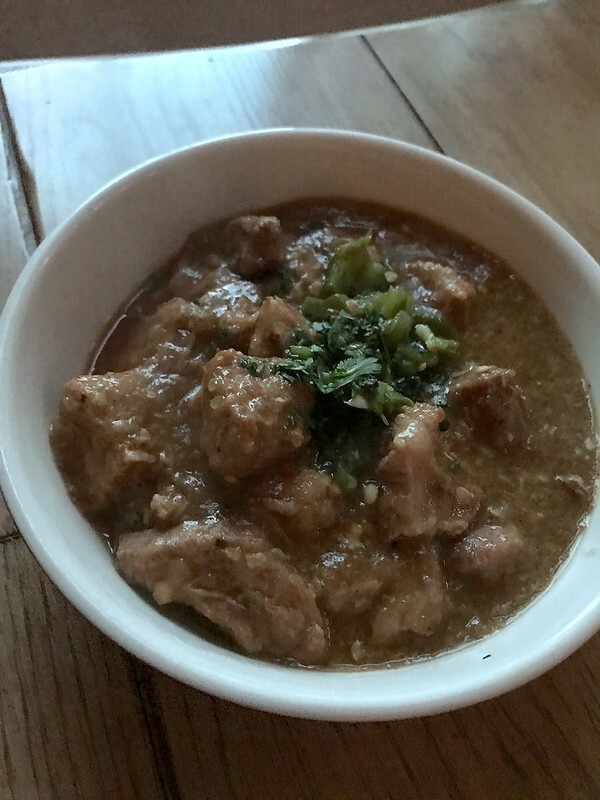 As for our entree, T chose to slow-braise pork in a rich and luscious chile verde sauce—key word, “verde“. The pork was tender, savory and quite versatile! The chilies are not the least bit spicy but more so mild and brought a verdant, tangy flavor. 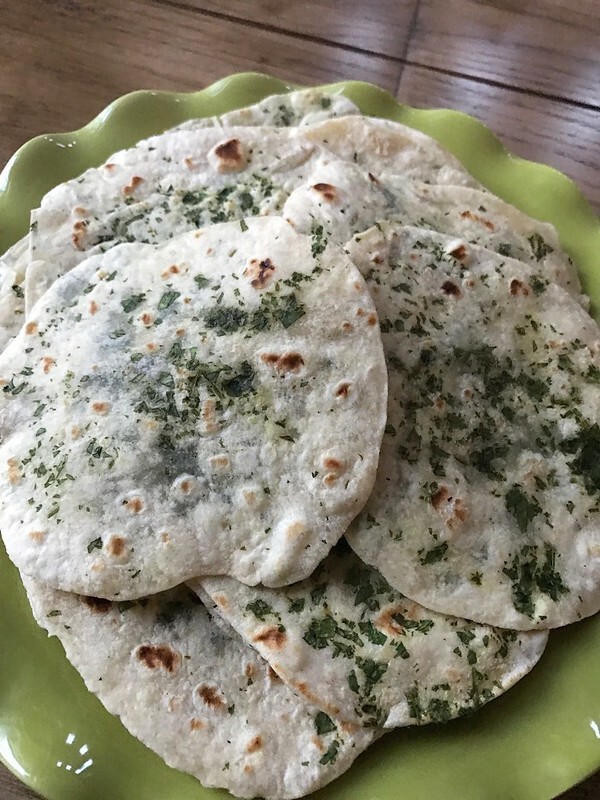 To serve alongside the pork, I whipped up some homemade Cilantro-Flour Tortillas. The recipe is from Rick Bayless and I wrote about them here. At the very end when I rolled out each tortilla de harina, I sprinkled on some chopped cilantro before throwing them on a cast iron skillet. Tender, flaky and perfect with the pork. 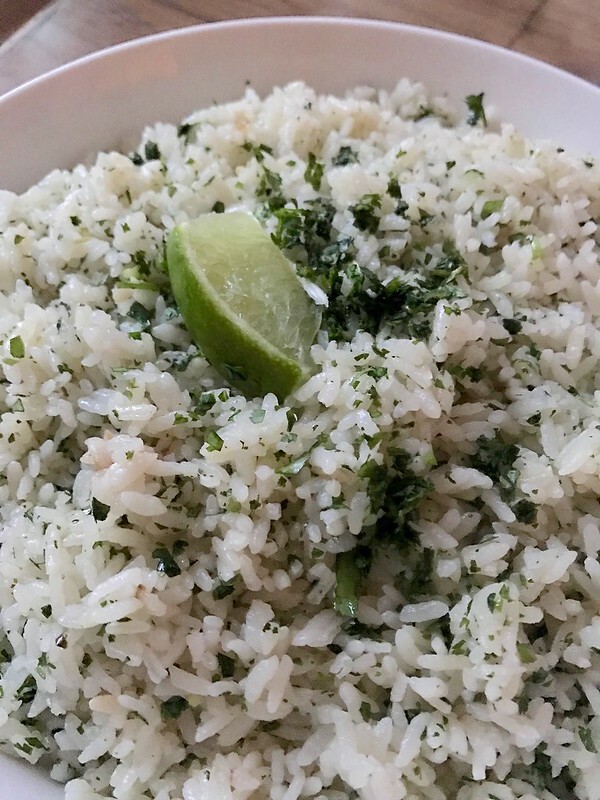 In addition, I made a big batch of my Cilantro-Lime Rice because carbs are my friends. Now, when thinking of green desserts, my mind kept drifting towards matcha. But since BIL’s birthday was the following month, I was bound to have to make a green tea dessert in a few weeks. 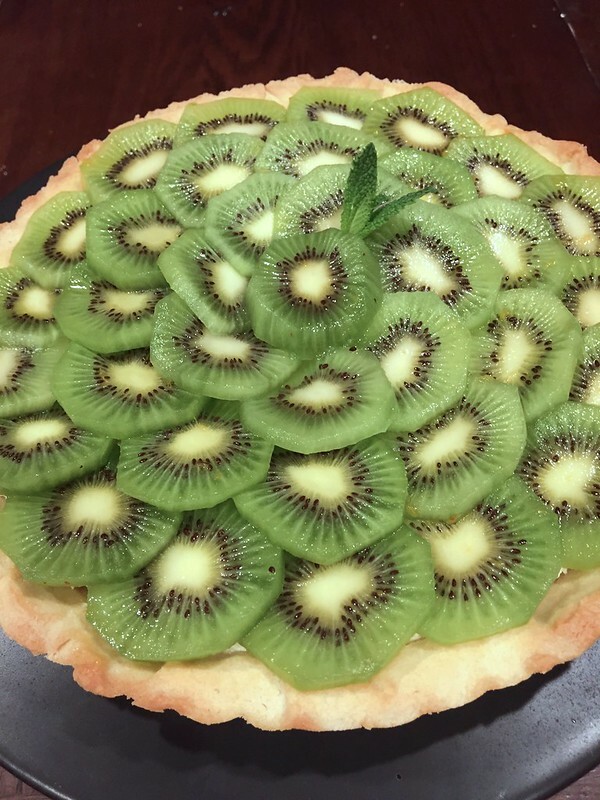 So I mulled around and decided to rely on the bright green hues of the kiwi to make this Kiwi Fruit Pie. The shell was a shortbread crust and I filled it with Cook’s Illustrated pastry cream. Next came lots of slices of fresh kiwi fruit. Now let me share one thing before I close this post. Silly things happen at our Family Dinners. In truth, it’s one of my favorite things about the whole tradition. And this month, was no exception. 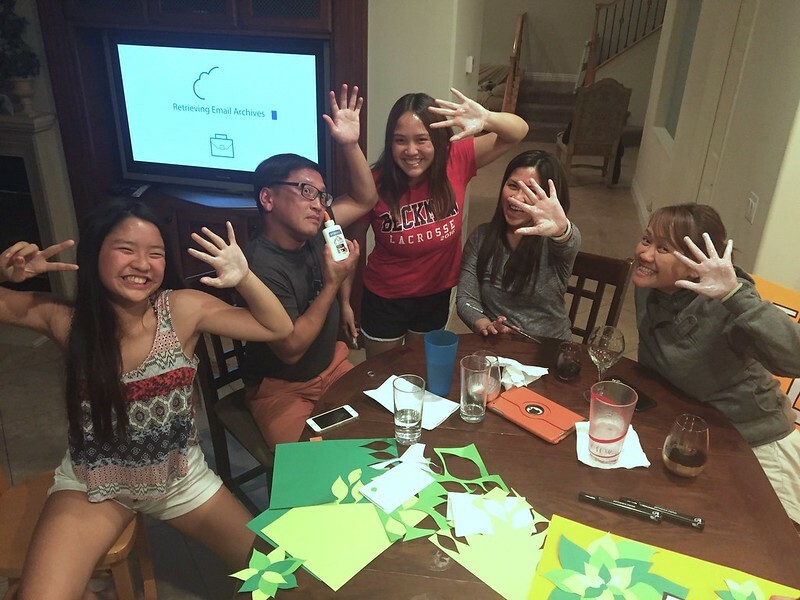 After dessert, the kids started doing arts and crafts for Nini’s elections—and there was a bottle of glue on the table. 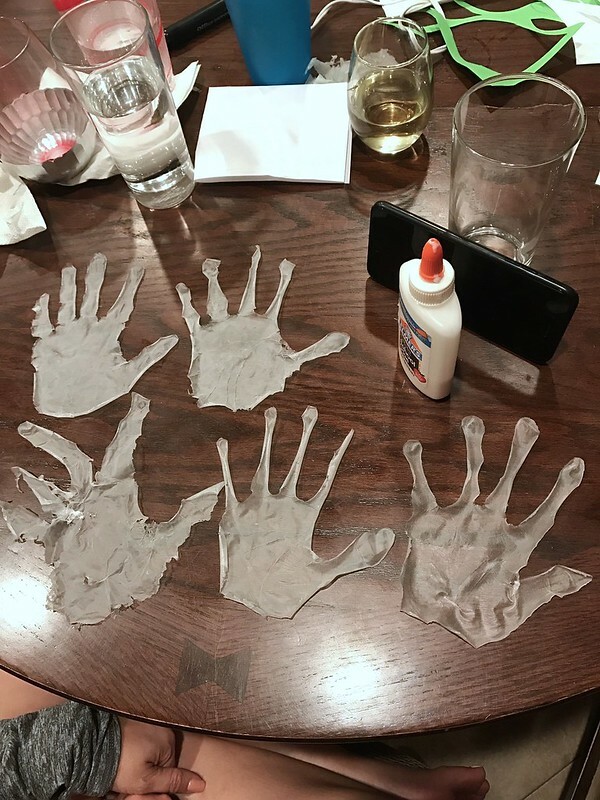 T, V and I started reminiscing of when we were kids and made “glue skins” from our hands. Oh yes….as we laughed, drank wine (the 21+ and over of us–that is), and sang along to Erasure–we painted layers of glue on our hands. Then, once dried, we slowly peeled them off to make “glue skin”. Silly, I know. But I wouldn’t change anything. When I used to live in San Jose, I used to go to a spot called the Sonoma Chicken Coop quite often. They had a pretty extensive menu with affordable prices…and the food was consistent. I used to always rotate between their Skillet Chicken Carbonara, Rotisserie Chickens and whatever specials they were offering for the day. Yet, despite all of that goodness–what I miss the most is their Citrus Grove Salad. Essentially, it was a big ol’ plate of mixed greens, avocados, mangos, and various citrus fruits. But MAN—was it delicious! And there wasn’t even any meat!!! Which is a big deal for this carnivorous gal. Since I’m no longer in the Bay Area (and because I heard that many of their locations are now closed… #SadPanda), I like to make my own variation from time to time–especially when summer fruits are wonderfully sweet like they have been as of late. I like to use whatever leafy greens I have on hand. 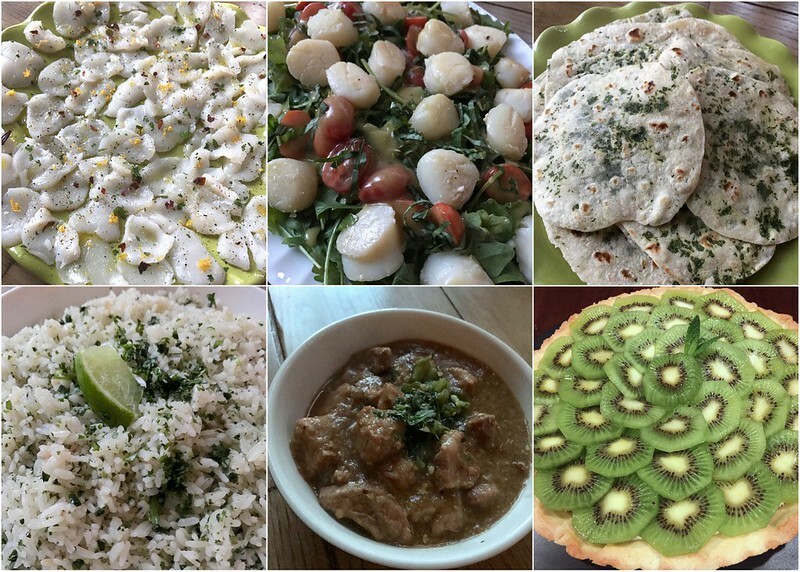 I used baby spinach in the pics shown here but an arugula-kale mix would be lovely. 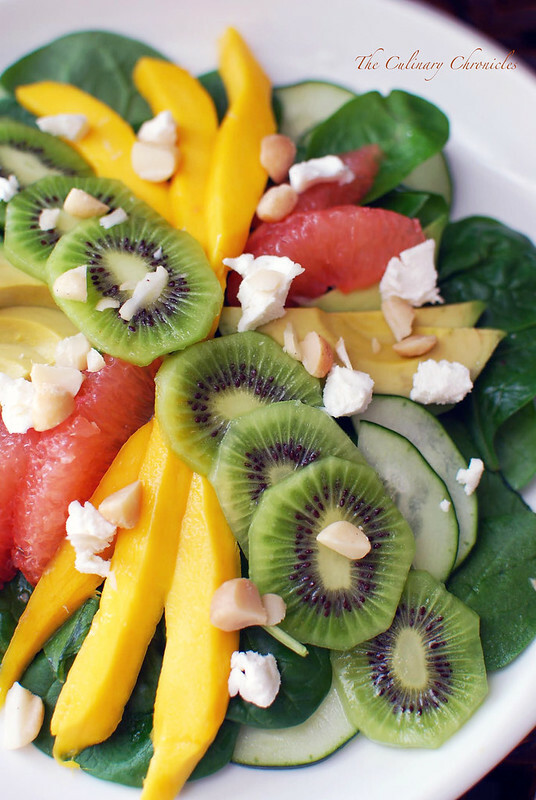 I top the greens with slices of sweet mango, avocados cucumbers, kiwis, and pink grapefruit. In addition to all of that goodness, I add some goat cheese crumbles for a bit of richness and toasted macadamia nuts for a bit of crunch. Then the whole thing gets a drizzle of a Sesame-Ginger Dressing that I shake up in a mason jar. The end results in an incredibly bright and light dish that can be served as an appetizer or even a main course. But if you’re wanting something a tad heartier, some grilled prawns, chicken, or grilled fish on top of the salad would really send things to the next level. 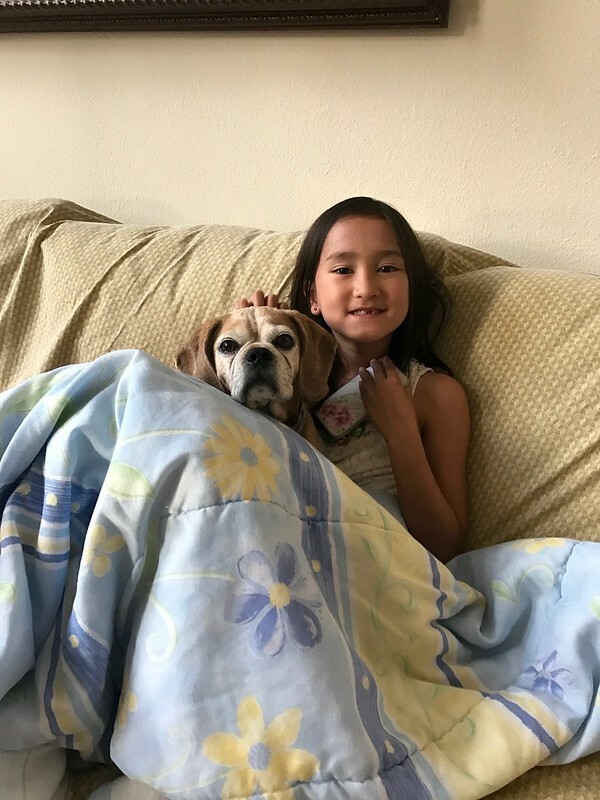 With that friends…Have a wonderful week and enjoy the last few weeks of summer! Prepare the dressing. 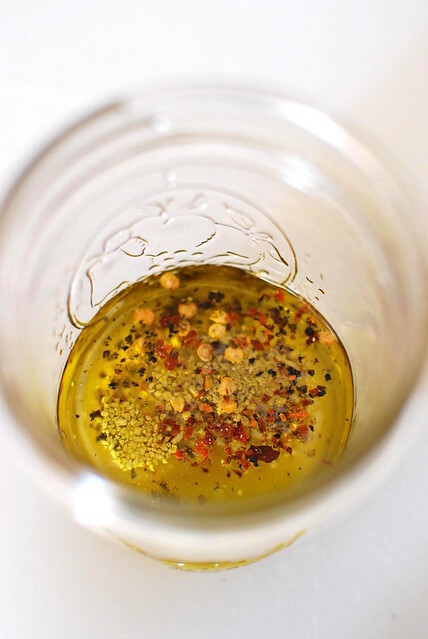 In a jar, add the sesame seeds, shallots, garlic, ginger, mustard, honey, vinegar, olive oil, red pepper flakes, pepper and salt. Secure the lid tightly on the jar and shake vigorously for a minute until the items have combined and emulsified. Taste and adjust with salt and pepper as needed. Set aside. Divide the greens between two large plates. 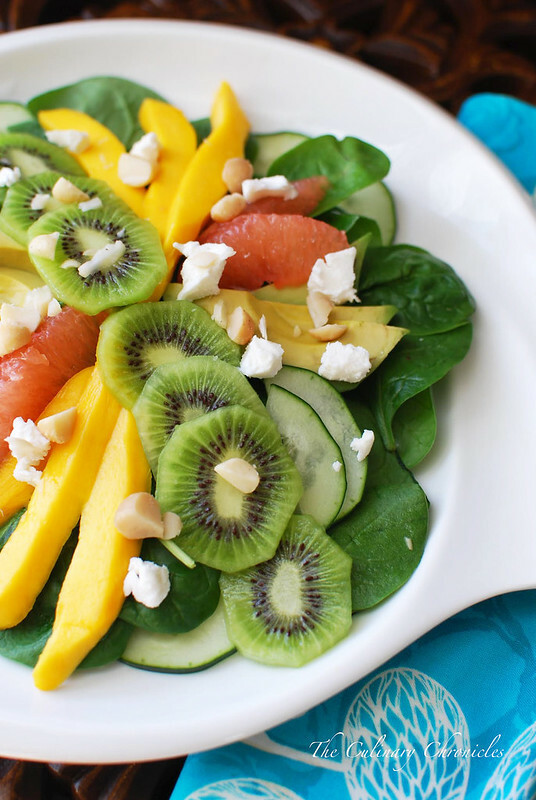 Top each plate with the mangos, grapefruit supremes, kiwis, cucumbers, avocados, goat cheese and nuts. Drizzle 2-3 tablespoons of the Sesame-Ginger Dressing over each plate and serve. Y’all know what today is? 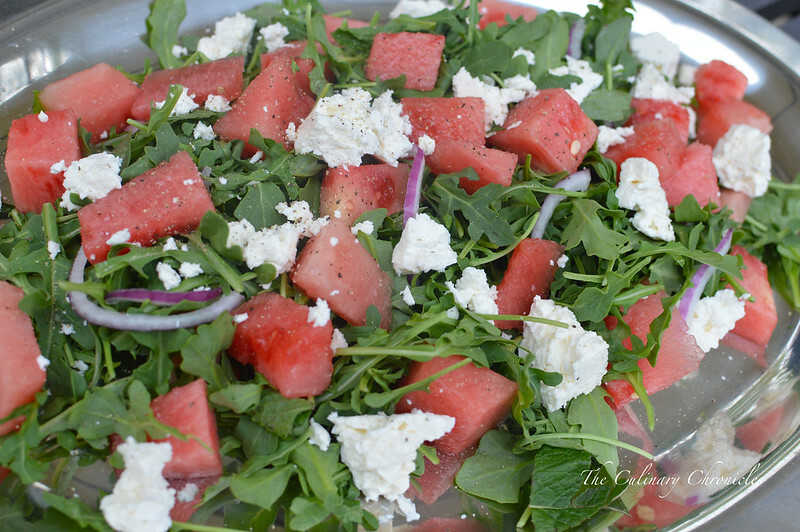 Watermelon, Feta and Arugula Salad. 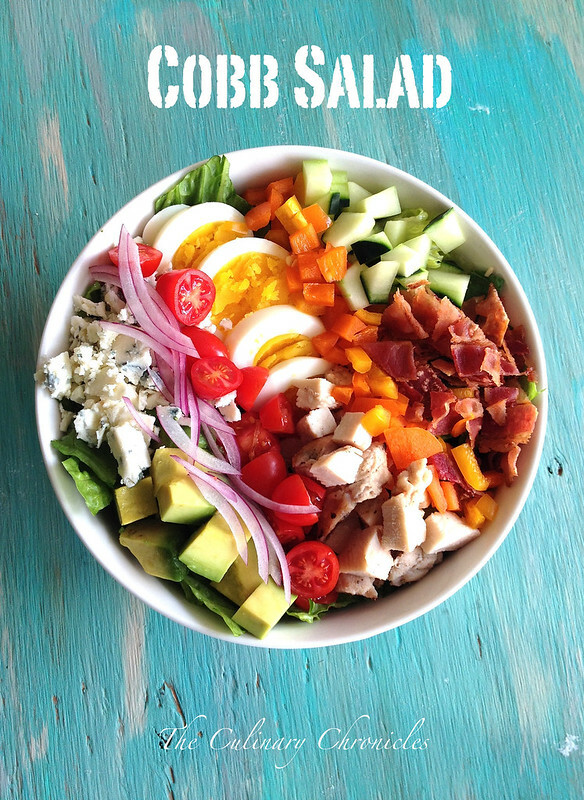 This type of salad appears to be all the rage this summer as I’ve seen various renditions all over the place. And how could it not be? 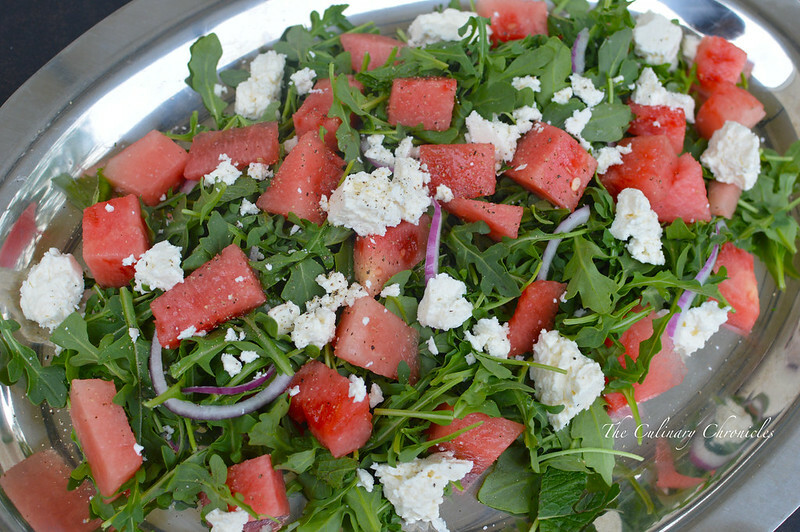 Peppery arugula leaves mixed with sweet watermelon cubes and piquant flavors of feta cheese. When we made this for our June’s Sunday Family Dinner, I opted to dress the greens with a Mint-Honey-Dijon Vinaigrette but it would also pair nicely with a thick balsamic reduction and extra virgin olive oil. Need a couple other ways you could celebrate National Watermelon Day? 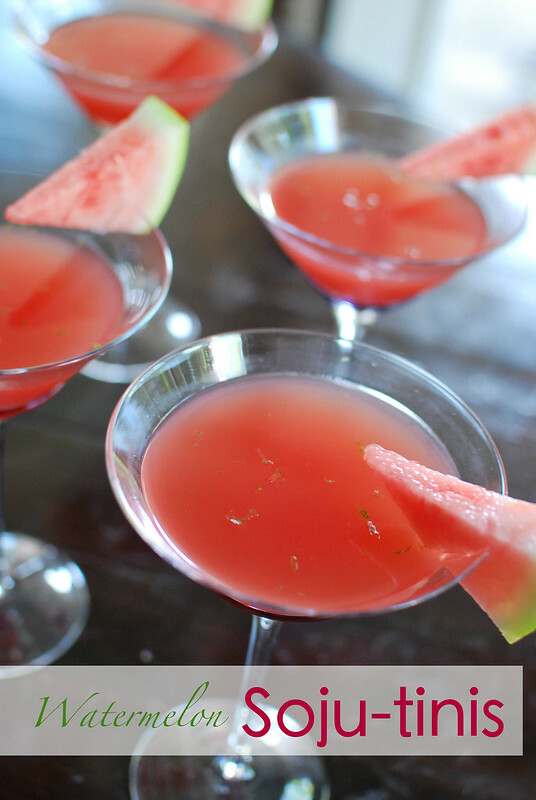 How about toasting the day with these bright Watermelon Soju-tinis? They are the perfect cocktail for warm summer nights. Want something booze-free? 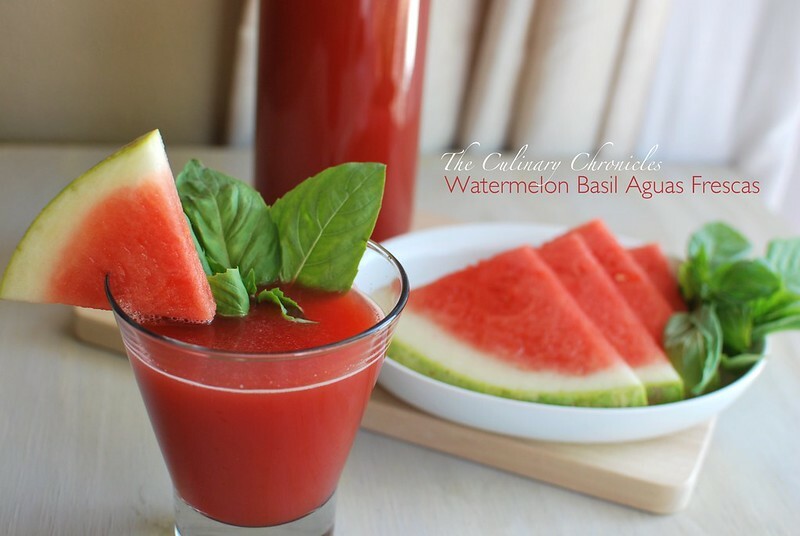 Then these Watermelon-Basil Aguas Frescas would be fantastic! And if you’re looking for extra points, freeze some of it to make popsicles for your munchkins. Bright, refreshing, and you know exactly what’s in it. And with that dear friends, have a wonderful week and have a delicious National Watermelon Day! 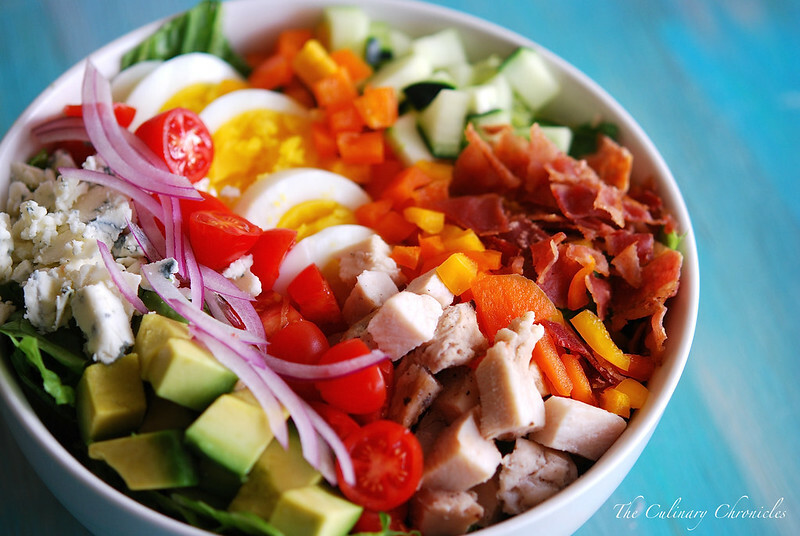 Prepare the vinaigrette. In a jar, add the shallots, mint, mustard, honey, vinegar, olive oil, pepper and salt. Secure the lid tightly on the jar and shake vigorously for a minute until the items have combined and emulsified. Taste and adjust with salt and pepper as needed. 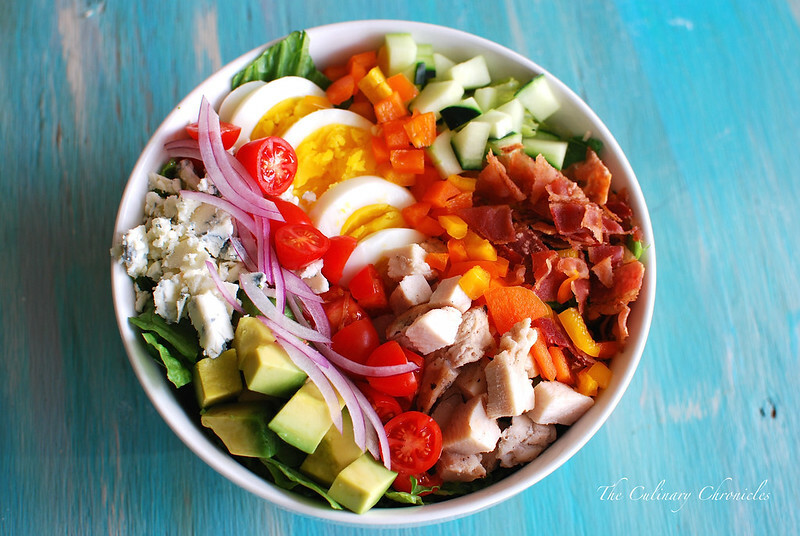 Place the arugula, red onions and torn mint leaves in a large bowl. Drizzle a few spoons of the vinaigrette over the greens and toss well. Try not to overdress the greens as it will wilt and become too soggy. Plate the dressed greens on a large platter. Top with the watermelon cubes and feta cheese. Sprinkle the platter with additional black pepper and serve.